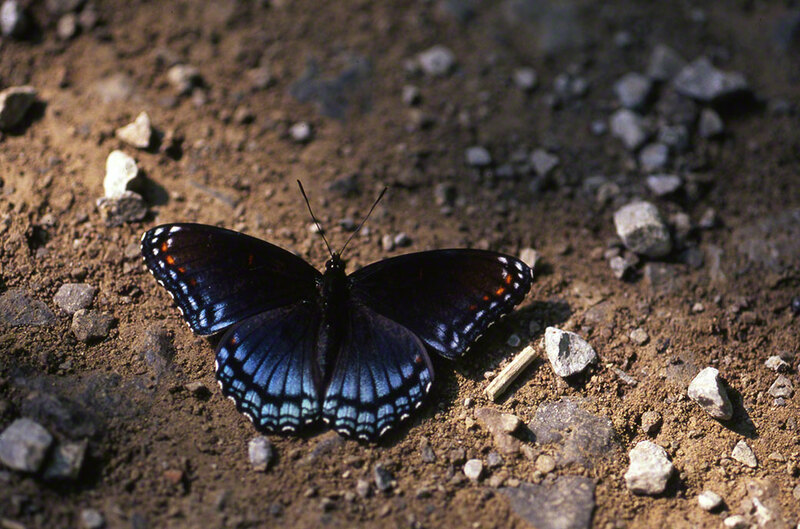 Who Loves the Red-Spotted Purple? America’s most beloved bird? It’s got to be the bald eagle. With tens of millions of birders, the bald eagle enjoys oceans of love. The Telegraph just reported that 20-somethings are increasingly taking up their ‘binis’ and looking for birds. 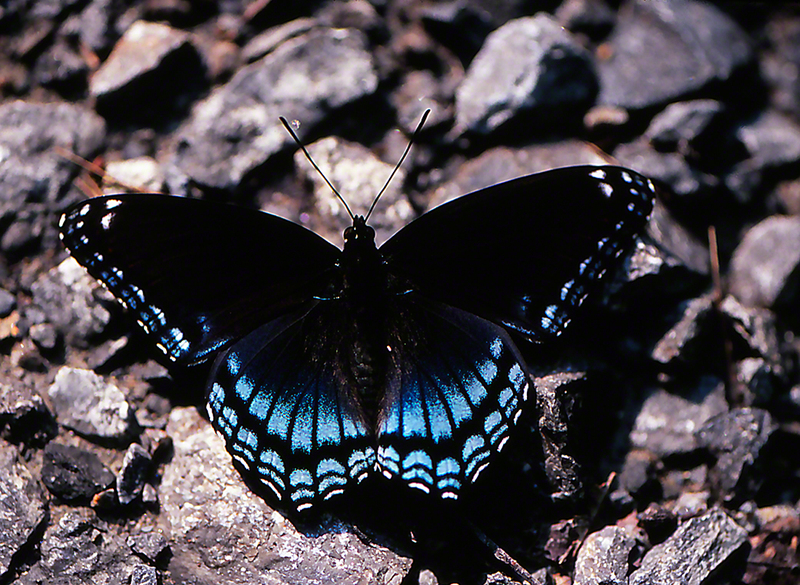 America’s most beloved butterfly? 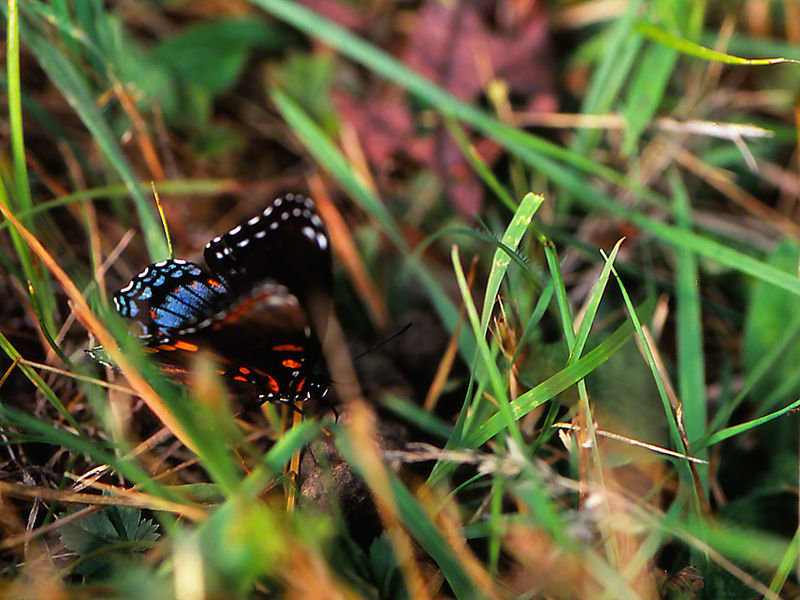 Easy again, the Monarch butterfly. 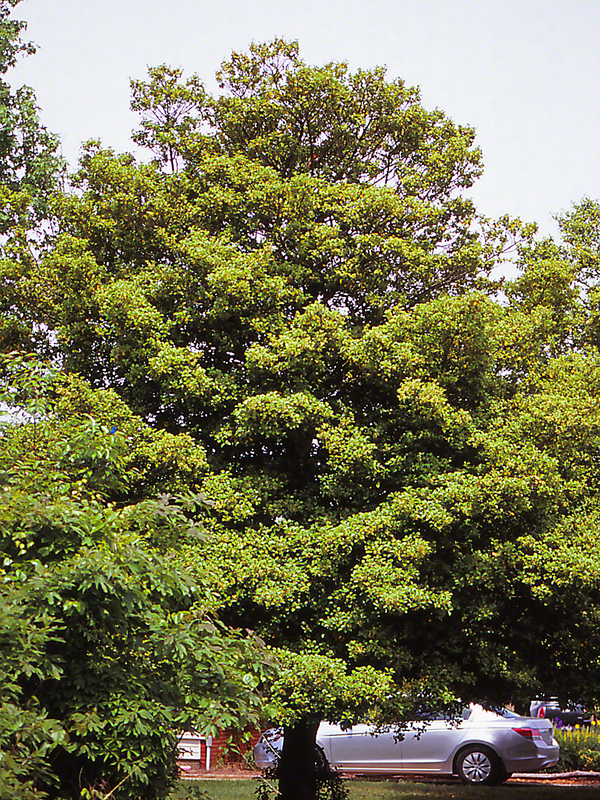 Thousands of Americans are rearing them, visiting the central Mexico mountains where they overwinter, and planting milkweeds in their home gardens. Other beloved Americans butterflies? Eastern black swallowtails, Giant swallowtails and Pipevine swallowtails. Why do blogs, NABA, Xerces and many state’s departments of conservation/environmental protection work most vigorously to protect monarchs and many swallowtails? I expect that we generally agree that they are large butterflies, very colorful butterflies, visit home gardens regularly and enjoy c that lend themselves to home development. Chew on this? Why are butterflies that are found on moist trails, and rarely nectar on flowerheads, little loved? 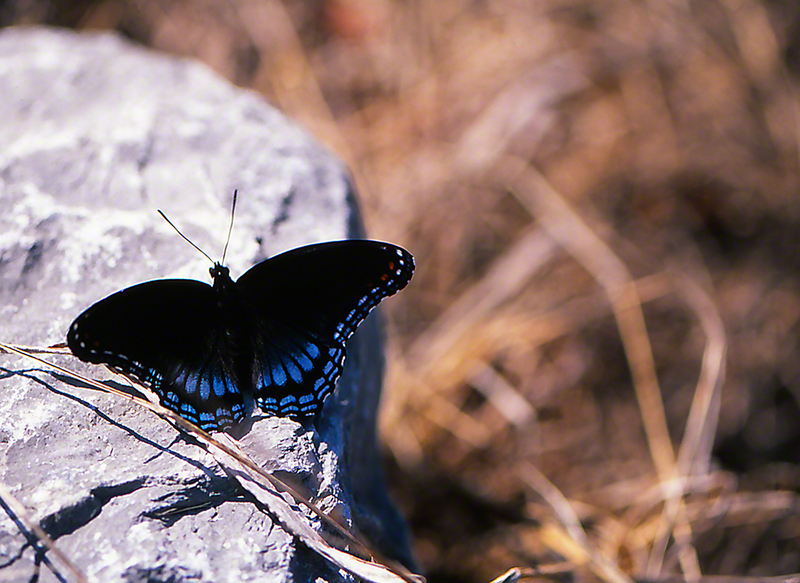 Here, a fine Red-spotted purple. Often seen on trails from New England to Florida and across the south to New Mexico, few hesitate to shower love and admiration for Red-spotteds. This morning I photographed at Raccoon Creek State Park. I set the odometer on the Tundra. 37 miles, exactly. It’s Memorial Day, sunny, no wind, and the morning was seasonably comfortable, with temperatures hovering in the 60’s at 10:30 AM. The trail was all mine alone, save for one hiker and 5 on horseback. 3 and ½ hours of enjoyment. Enjoyment fueled by swallowtails, duskywings, azures, skippers and of course, one butterfly that was totally a mystery, and, did not stick around long enough for me to ID it. The Tiger swallowtails made the morning. The came down from the trees between 9 and 10 AM. They were males. Fresh, smallish males, richly colored. Each of them flew down. Down, not around, and set out wings to bask and warm in the morning sun. They allowed my approach and I took maybe too many exposures…thinking, book cover opportunity = go for it. Fuji film, you remember, so they must go to Kansas and return for me to see. Days ago I was in Rock Hall, Maryland, on the beautiful, lush Delmarva Peninsula. Dave and Bill, volunteers at the Eastern Neck National Wildlife Refuge, helped out, offering suggested nooks and crannies to explore. 3 pleasant nights at the Mariners Motel in Rock Hall, then the 6 hour drive to Pittsburgh. This stunning Red-spotted purple butterfly closely resembles the one I watched up in that American holly tree. Both were seen very far from home. Comes the question? Home or away? We have a comfortable and growing number of people who view and follow wingedbeauty.com. I cannot say if they care whether my images are obtained in my home county, or 927 miles away in Hollandale, Mississippi. I greatly appreciate you all, and Love each and every visit you make. There aren’t many who photograph butterflies and blog their work. One or two others do so all over the map. They post their finds from Texas, Colorado, California, the Florida Keys, the Jersey Pine Barrens, Alaska, and …. This would be great fun, though it comes with great expen$e, airports, rental cars, motels and long, long rides. All this alone. Robert Michale Pyle and others do so, but the rub (for me) is that they have earned the friendship of so many authoratitive friends it seems almost everywhere, and when they set a destination, they have at least some assurance that time, place and conditions add up to probable success. And there is the human factor, friends to see, experiences to recall over home cooked meals, camaraderie on trails. So I am presently weighing Home or Away? Do I perservere within a radius of 100 miles of my Pittsburgh home, or fly the now less than friendly skies, to share rare, little known butterflies flying in America’s holdout wildernesses? Add a final ingredient. I eat gluten free, necessitating that I take along a stash of food from our East End Co-op and Whole Foods (Bless them both).